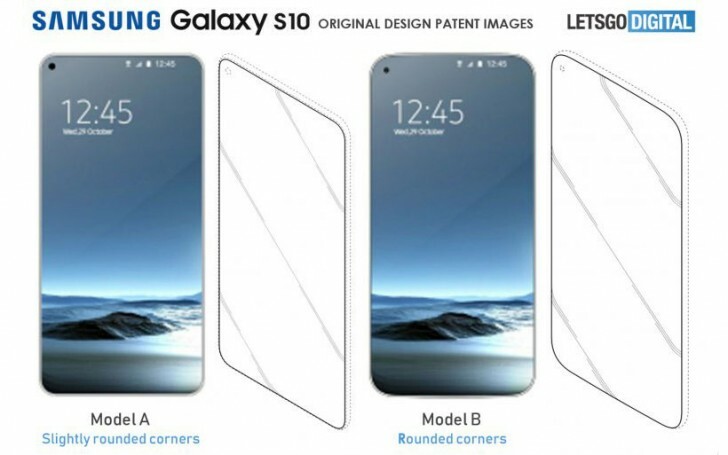 The Samsung Galaxy S10 will be a drastically different device from the Samsung Galaxy S8 and S9. The phone has been rumored for months and we’ve only heard that Samsung’s next flagship smartphone might have a hole cut-out for a selfie camera. Today, a patent from Samsung depicts possible designs for future models that all adopt the Infinity-O model that Samsung announced during its recent developer conference: this model is a full display with rounded corners and a single circular cutout to let the camera see through the glass. The patent was filed with WIPO (World Intellectual Property Office). There are several designs with a camera cutout in the upper-left corner, so it looks like we might expect this in the final product. Models A and B are the only two designs that feature a lock-screen rendered in color. 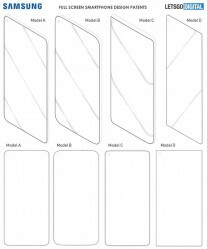 Model A’s corners are more like the Galaxy Note9’s squarer corners while Model B’s are much closer to the Galaxy S9 corners. 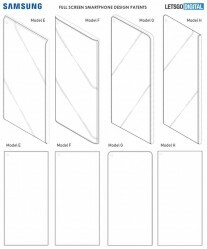 Other models like C, E, F, and J have curved glass at different edges and configurations. But whichever design Samsung goes for will be a brand new one to the mobile industry. Putting a single hole in a display for a camera to look through for the purpose of a no-bezel display hasn’t been done before. 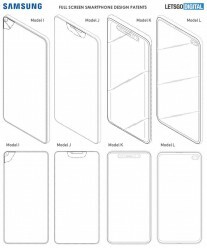 If you remember, the Xiaomi Mi Mix 2S was rumored to have a notch in the corner but it wouldn’t compare to having a single hole cut-out. That'd hardly be possible, even if it is, image quality will suffer. It was said that the the pixels will be usable when you are not working with the camera.